I could see how the title of this article might indicate the signing of Gio Gonzalez as a significant one, but don’t be alarmed, the veteran pitcher is nowhere near close to ‘ace’ status and I would commit myself to an insane asylum if I thought so. Nonetheless, the New York Yankees have enjoyed a spring full of injury and concern in regard to the starting pitching rotation. Forget Gonzalez, James Paxton is the player we need to be talking about. 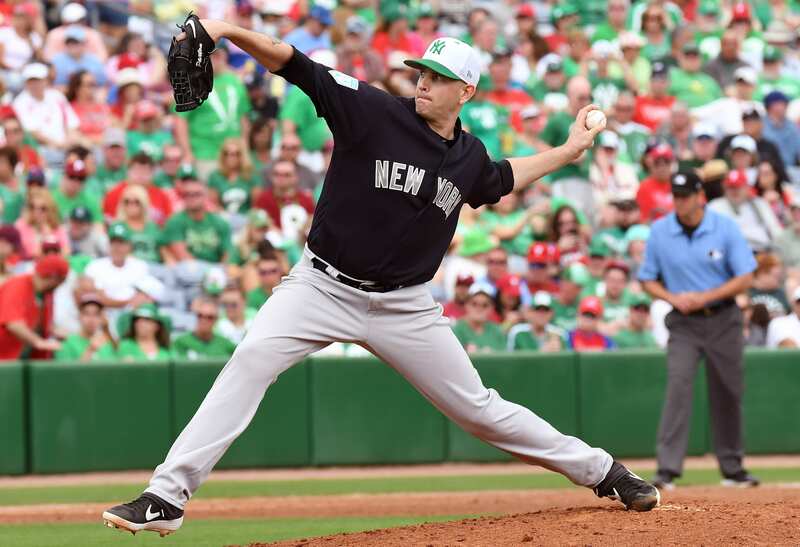 Acquired from the Seattle Mariners in a trade that sent top pitching prospect Justus Sheffield packing, the seasoned veteran has the tools to help the Yankees win in the short-term. General manager Brian Cashman allocated resources appropriately to make a serious World Series run this year, but injuries to Luis Severino, CC Sabathia, and Aaron Hicks have dampened the mood. Luckily, the Bombers will start off the season with relatively easy opponents, ensuring the loss of the mentioned players won’t cause too much harm. Despite the negatives, one major positive this spring has been Paxton – earning a 1.54 ERA over 11.2 innings pitched. He’s given up just five hits and one homer. An impressive out of dominance for the once oft-injured pitcher. Paxton has been healthy the past two seasons, proving that the beginning of his career was just a minor speed-bump in relation to injury concerns. This spring, he has looked sharp, but these stats need to be taken with a grain of salt. Grapefruit League games don’t often feature entire starting teams, so the numbers can be skewed in favor of the regular starters. However, his performance has provided optimism for 2019, especially with Severino and Sabathia missing the first few weeks. While the former Mariner won’t be the Opening Day starter, that job is filled by Masahiro Tanaka, he has arguably the second-best skill-set behind Severino. The Yankees will be forced to lean on him early on as they wait for their rotation to return to full capabilities. With the Canadian pitcher earning more reps due to injuries, the Yanks will need to manage his workload once the affected players return. Allowing him to fatigue too early in the season could be detrimental down the stretch. Who’s Worse? The New York Knicks or The New York Giants?